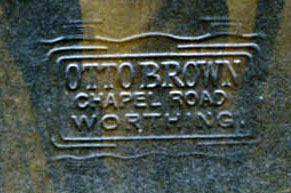 [ABOVE] The "signature" blind stamp of Otto Brown, photographer, 2 Chapel Road, Worthing, which appeared on his postcard portraits from around 1908 until 1914. [ABOVE] The "print block" blind stamp of Otto Brown, photographer, Chapel Road, Worthing, which appeared on his postcard portraits from around 1914 to 1920. 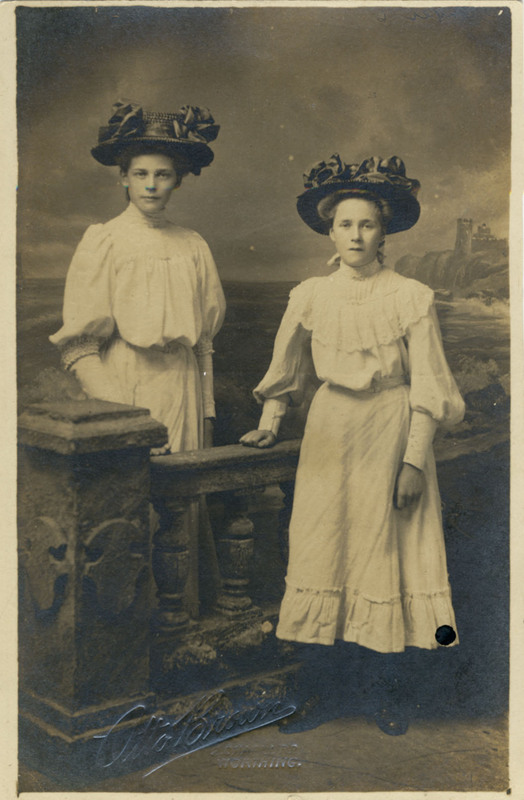 [ABOVE] A studio portrait of two sisters who signed themselves "C. & E. Grinyer". 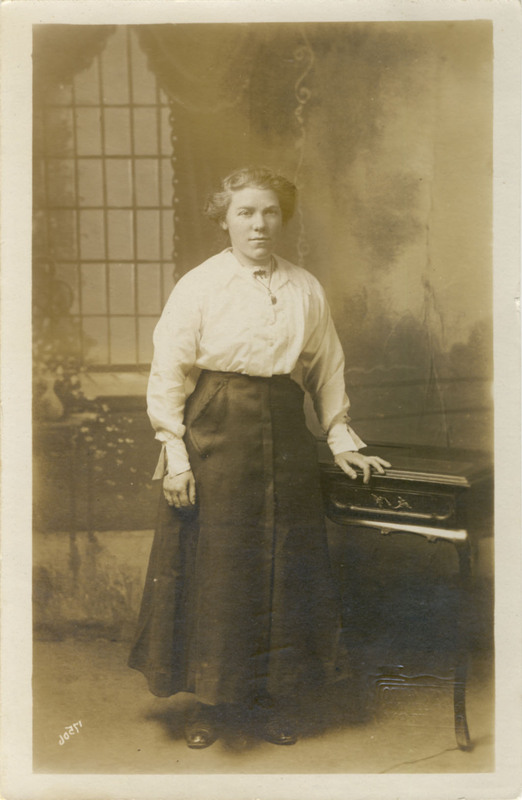 A postcard portrait by Otto Brown of 2 Chapel Road, Worthing (c1908). 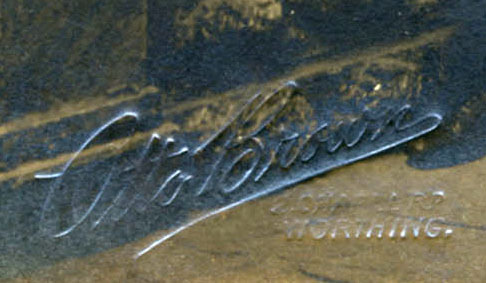 Otto Brown's "signature" trade plate is blind-stamped at the bottom of the photograph. The message on this particular postcard appears below. 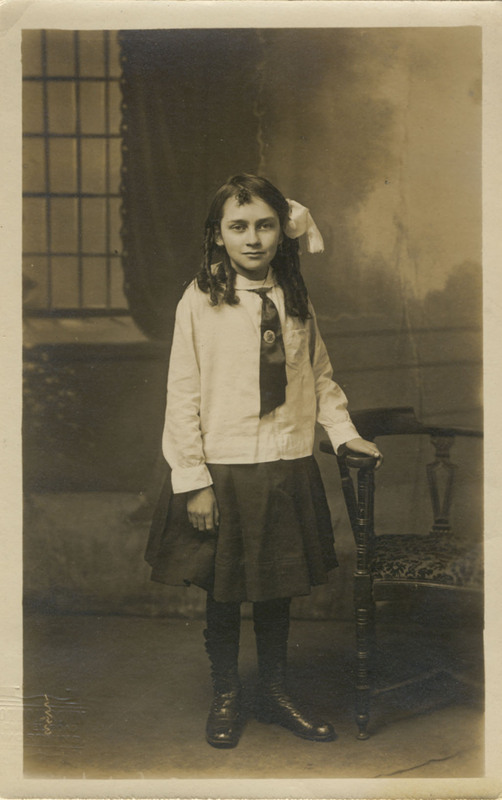 Otto Brown operated a photographic studio at the Kursaal during the First World War period. The Kursaal, an entertainment complex on Worthing's seafront, was built in 1910 and opened to the public the following year. The Kursaal contained a roller skating rink, an exhibition hall, a cinema, refreshment rooms, and a covered garden for outdoor entertainment. 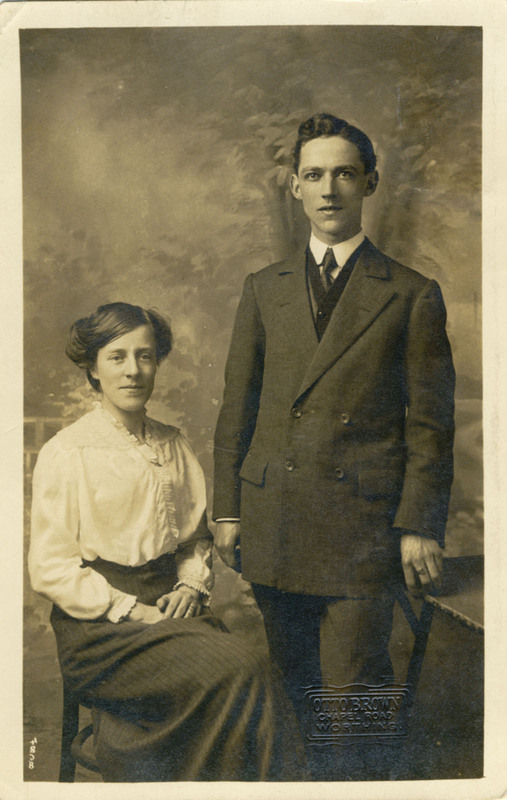 Following the outbreak of the First World War, the German-sounding name of the Kursaal was changed to "The Dome". 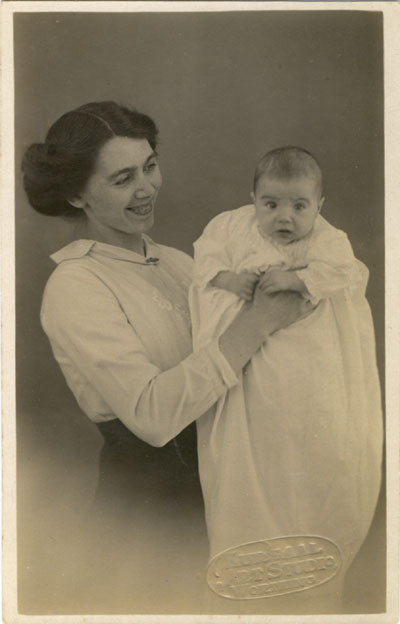 [LEFT] Portrait of a woman holding her baby, a postcard portrait taken at the Kursaal Art Studio, Worthing (c1914). 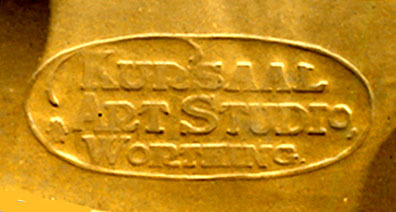 The Kursaal Art Studio trade plate is blind-stamped at the bottom right of the photograph. Will you please accept the small present as a token of our gratitude for all the kindness & great pains you have shown us during the happy hours we spent with you at school. 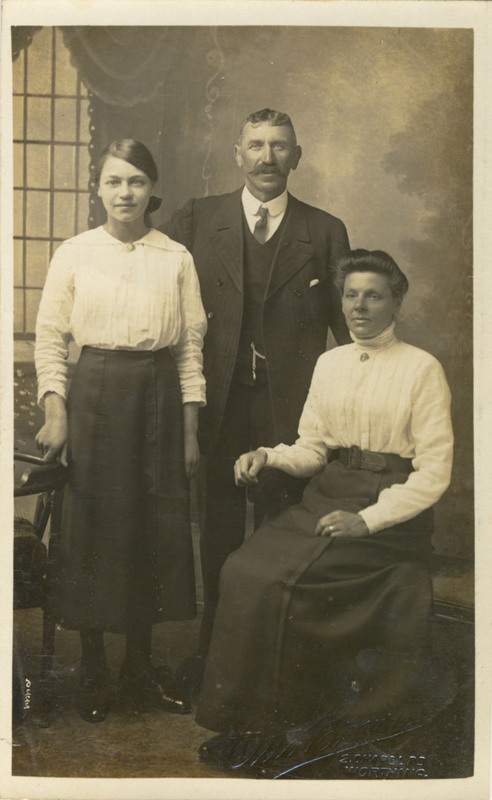 [ABOVE] A transcription of the message written in ink on the reverse of the postcard portrait of the Grinyer Sisters by Otto Brown of 2 Chapel Road, Worthing ( SEE ABOVE ). 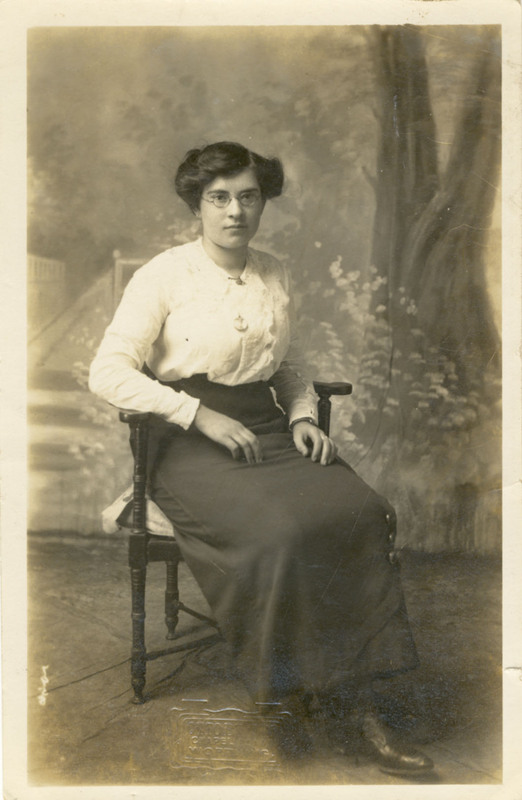 The message is signed "C. & E. Grinyer". 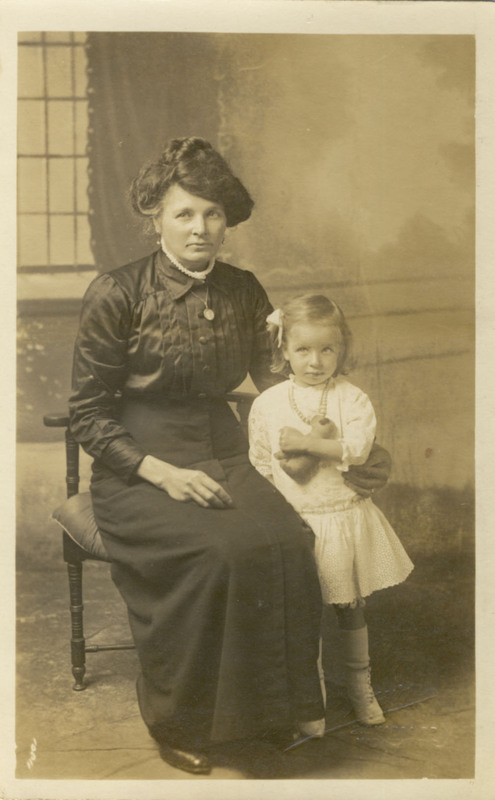 The two girls pictured in Otto Brown's studio portrait could be Carrie Grenyer (born 1892, East Preston District) and Emily Grenyer (born 1894, East Preston District). 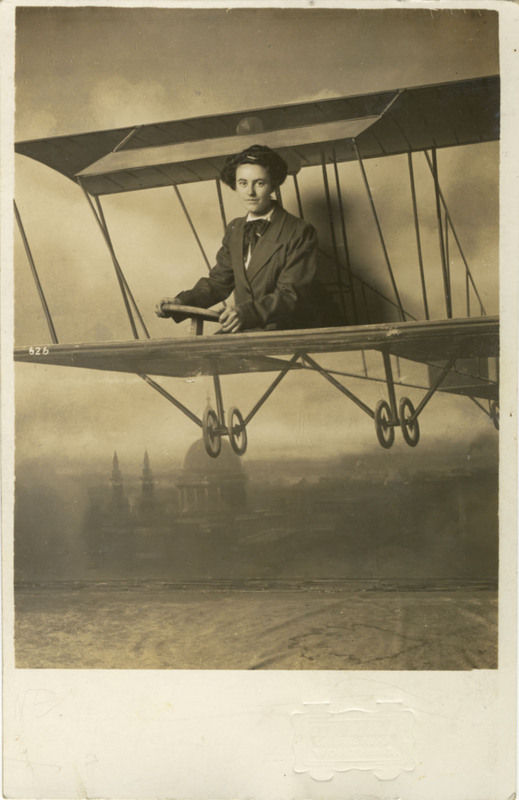 [ABOVE] The crest and "signature" trade plate of the photographer Otto Brown of 2 Chapel Road, Worthing, which appeared on Brown's cartes-de-visite and cabinet card portraits before he concentrated on 'real photo' postcards from around 1910.